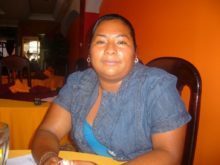 Congratulations to Iris Reyes (Belize 2011), Errol Longsworth (Belize 2011), and Elmer Cornejo (Belize 2009) for being awarded full-scholarships to attend the Women Deliver Conference being held in Kuala Lumpur, Malaysia, May 28-30, 2013. The conference will bring together over 5,000 global participants who will take part in 120 concurrent sessions focused on creating a better world for girls and women. The trio provides continuity to GOJoven’s involvement in supporting Women Deliver’s mission to create equality for women and girls around the world. 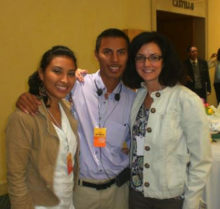 In June 2012 Elmer Cornejo and Cinthia Interian (Mexico 2010) participated in Women Deliver’s Latin American and the Caribbean Consultation on Maternal Health in Mexico City where they provided valuable feedback on the realities women and girls face in their countries.